It&apos;s easy to pop on a DVD with the Alba 24-inch TV combi. Get all your favourite Freeview channels all in one place, as well as a selection of Freeview HD channels for clearer viewing quality. Never miss a show with USB recording and playback. Sit the kids in front of their favourite DVD on a rainy day or watch TV as you cook dinner. 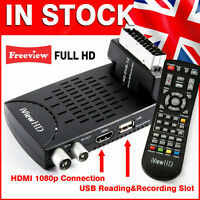 HD ready with Freeview tuner, DTS sound, 1 HDMI socket and 1 SCART socket offering great connectivity. So easy to set up and watch straight away. Very easy to set up and use. Good quality picture. Very nice product indeed.